A negative representation of African-American women in the media has become a constant battle in reality television. Repeatedly we’ve discussed how shows like The Real Housewives of Atlanta and Basketball Wives showcase cat calling, fist fights, and women settling for the comfort of monetary assets while other parts of their life suffer because of it. The minimal positive representation that does exist gets lost in the cross fire, Kandi and her business savvy & impeccable mothering skills are a prime example. Even in the early days before their was the conglomerate that is now “reality television” the first seasons of now popular shows featured confrontational and intimidating black women, Omarosa on The Apprentice, and Tami Roman on The Real World (currently a cast member of Basketball Wives) were a few memorable ones. For nearly two decades this has been the norm. However over the past year or so a slow surge of positive and more realistic reality TV featuring women of color has been on the rise. New shows like LaLa’s Full Court Life and The Braxton Family Values excelled in popularity holding as much weight as the controversial programs that are our guilty pleasure. It seems as though the alternatives we’ve been hoping and waiting on for years are finally starting to arrive. The start of some of these programs seemed almost accidental. VH1 home to Basketball Wives and Love & Hip-Hop have been coming under of fire for their representation of women of color since the Flavor of Love days. Last year the channel showed a wedding special for LaLa Vasquez-Anthony entitled LaLa’s Full Court Wedding where they went behind the scenes of LaLa’s Life and planning of her wedding with Carmelo Anthony. The response from viewers was so overwhelmingly positive that the network saw it as a chance and added the show to the VH1 roster. The first season of LaLa’s Full Court Life showed the New York Native trying to balance raising a son, continue her journalism and Acting Career, as well as be a newlywed wife. No drinks were thrown or weave was snatched. The success of season one prompted a season 2 which is currently airing. Other shows took the form of the same basic format. The Style Network premiered Tia &Tamera about the twin small screen stars lives while Tia was pregnant and Tamera was planning a wedding all while both worked. WETV had a breakout hit with The Braxton Family Values, centered on singer Toni Braxton’s family bond and drama. All reality shows featuring women of color, working, raising families, being wives, and dealing with the day to day of life. Networks and producers had underestimated how much these programs could bring to their network. Some were simply bored with the repetitive clique antics on other shows and others wanted to have an alternative as an option. Either way many believe it’s a breath of fresh air to see honest drama, or as “honest” as it can be on television. Too often drama is created for the viewer but with many of these shows that feature family members nothing added is necessary the real life arguments, misunderstandings, and emotional moments already exist. The events are also more relevant to the viewer, sibling rivalry or adjusting to a new city are things they can connect and identify with. WETV premiered their new show Mary Mary about the sister gospel singers and their lives just last week. 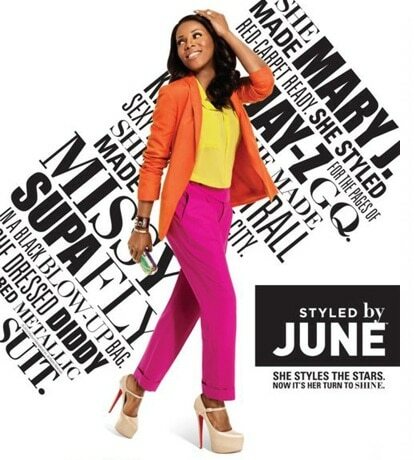 On Vh1 LaLa’s Full Court Life is followed by Styled by June a show that shadows one of the most respected stylist to the stars, June Ambrose, as she remakes the styles of celebs while raising her daughter in the big apple. This shows that daily these forms of shows are expanding in definition to not only home life but working women in fashion. We can only hope that viewers who complained about not having these programs previously available continue to support them. We can still watch NeNe and Sheree’ bicker or Evenly exclude someone from “the circle” but I’m sure we can find some time to watch something that is a true spectrum of the many reflections of us and the women we strive to be. Is It Time to Ask Him Out?